Most people look forward to their well-deserved retirement as they grow older. But the Dutchman Ton Goedmakers and his Austrian friend Uli Kaltenböck are not like most people. 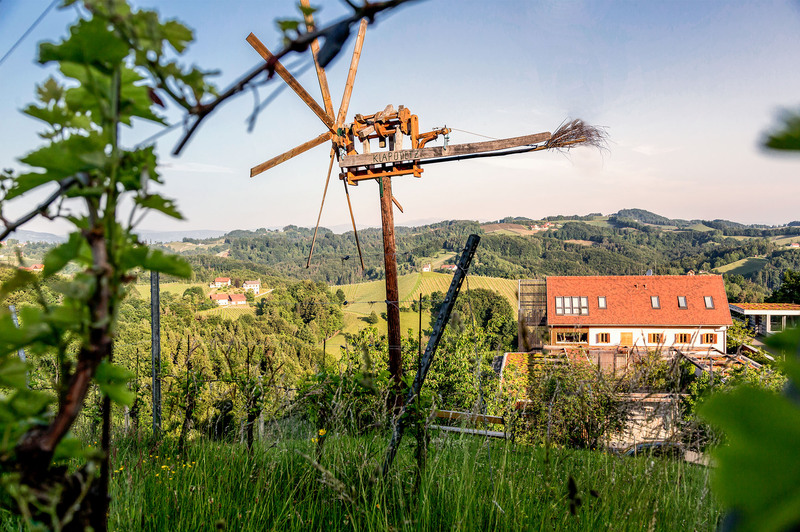 They want to try something new and are making the dream of having their own winery in idyllic Southern Styria a reality. With their different talents and biographies, they are cultivating, tending, and making wine on the slopes of Sernauberg in Gamlitz. What makes it unmistakeably clear that this is more than just a hobby is the objective the Goedwinemakers have set themselves: They want to make really good wine – entirely in keeping with their name. Winegrowing is a team endeavour. And that is our strength. Men and women, professionals and newcomers, the Dutch and Austrians are all pulling together here – and making wine together. And they are doing it by hand with enthusiasm, which can indeed move mountains. We don’t want to make a lot of wine, just one that is really goed. With character and a distinctive flavour. Produced Why would a successful business person start over again from the ground up on a winery? Who traded in the ski mountains for the wine-growing hills of Southern Styria to begin calling them home? What motivated a genuine “Sernauberger”, an individual with firm roots in the region, to become a Goedwinemaker? And are harmony and quality to be attributed to the ambitiousness of strong women? You can find out by talking with Ton & Monique, Uli & Herta, Bastian, Christian, Klaus, Dani and Beate over a glass of wine. Winegrowing is a team endeavour. And that is our strength. Men and women, professionals and newcomers, the Dutch and Austrians are all pulling together here – and making wine together. And they are doing it by hand with enthusiasm, which can indeed move mountains. We don’t want to make a lot of wine, just one that is really goed. With character and a distinctive flavour. Produced Why would a successful business person start over again from the ground up on a winery? Who traded in the ski mountains for the wine-growing hills of Southern Styria to begin calling them home? What motivated a genuine “Sernauberger”, an individual with firm roots in the region, to become a Goedwinemaker? And are harmony and quality to be attributed to the ambitiousness of strong women? You can find out by talking with Ton & Monique, Uli & Herta, Bastian, Christian, Klaus, Dani and Beate over a glass of wine. sustainably, in every respect. Sustainability, after all, is also a process which must mature, as does a good wine. Healthy soils, vital grapevines, high biodiversity and ecologically sound viniculture are every bit as important to us as the quality of both life and the work environment for the people at the winery. These factors taken as a whole are what make us sustainable. And it’s goed for it to be that way. THEY ARE ALL GOED, SO WE HAVE PUT TOGETHER A DECISION-MAKING AID. THESE FOUR CATEGORIES WILL SHOW YOU WHICH WINE IS RIGHT FOR WHAT OCCASION. The perfect accompaniment on hot days, as an innocent morning wine and in any case ideal as an aperitif before an evening meal with friends. Also frequently given as a gift – instead of tulips. 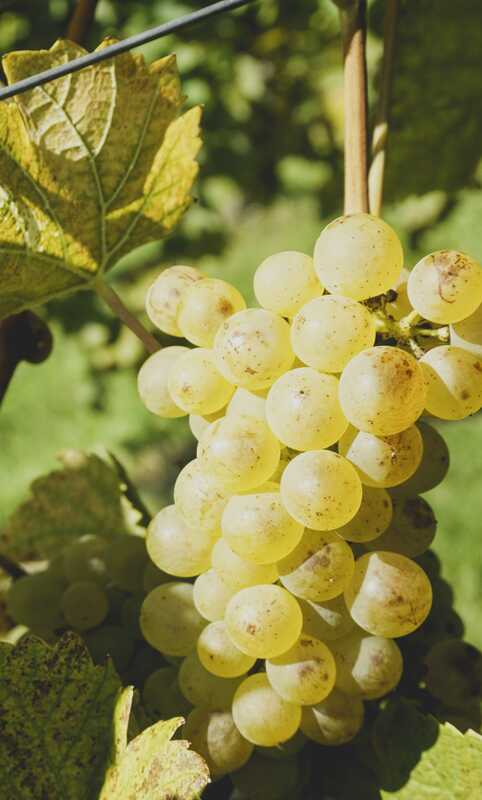 Wines with characteristic fruitiness and minerality, typical for Sernau. They have benefited from a good deal of time to age. No one can resist the temptation for long to indulge in their elegance. Our royal discipline places us amongst the best. The regent is without doubt the Burgundy blend, TOMO. But our “29”, always a varietal individualist, also earns the distinction: Van den Besten. These extras are available as standard: Sparkling wine and fine brandies. The fruit used is our own with assistance provided by the esteemed Szigeti sparkling wine cellars and one of the best distillers, Franz Tinnauer. Any further questions about Goedwinemaking? Or would you like to order our wines?